Chase Bank is about to go into the future. They will replace your debit card with something higher tech. As of now, Chase customers can opt for a debit card with microchips. Banks have been slow to adopt this technology, but Chase is moving forward. The card-enabled chips are expected to replace plastic with magnetic stripes in the future, since what we use now is often the target of hackers who are out to steal our info and money. No worries. How you pay for stuff won’t be changing anytime soon. Chase is currently issuing cards with both chips and the magnetic stripe, so your in-store experience won’t be any different. In the future though, as banks move away from the magnetic stripes, you won’t have to swipe your card. Instead, your card will be inserted into card readers, like with an ATM. The reader uses the info on the chip to verify the transaction with your bank. So your transactions will still be easy and effortless. The reason for the slow adoption is because of card reader technology. The United States is just starting to catch up to this security feature, and in-store card readers haven’t caught up either, but we are getting there. 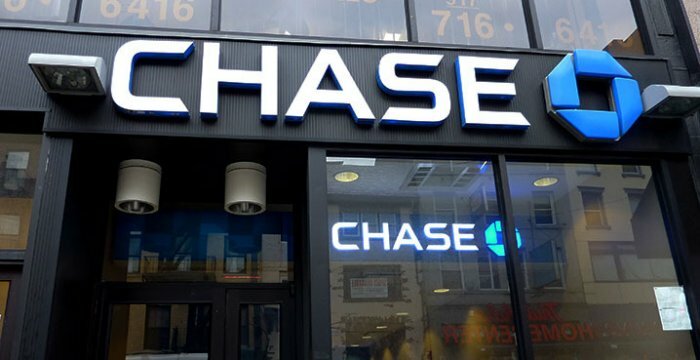 In October, Chase said that 76 million customers were affected by a data breach. This will help.